A Sermon preached for Lent 5 at St. Luke's Lutheran Church in Richardson, Texas on John 12:20-33. Well, he was not picking up what I was putting, so after a while, I thought I’d better accept that I was going to be single for the rest of my life. I was about to become ordained and move to my first church in Detroit, MI. I’d seen the statistics about how a woman’s chance of marrying dropped like a rock after they become a pastor. So I prayed, “Well, God, it’s just going to be you and me in urban ministry, and it’s going to be ok. I’m going to trust that you’ll be with me and give me what I need to follow this call.” I had a sense of peace. 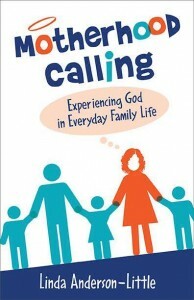 In 2008, I sent my book, Motherhood Calling: Experiencing God in Everyday Family Life to several publishers. I wanted that sense of accomplishment and recognition; my ego was invested in it because I wanted to “prove” that I was a worthy writer, a good Mom and pastor. All I got were rejection letters, or no response at all. It was like scales falling from eyes, when I realized that’s the only reason to try and publish my book, so my kids have these stories when I’m gone. Who cares if anyone else reads or even likes it? Are you noticing a pattern here? New life comes once we die to our ego, let go of control, and stop trying harder to force the outcomes we want—BUT!—we resist this process mightily. Our need for control, for programs, projects, plans and preferred outcomes layered with our American flair for rugged individualism makes it hard for us to die to self. We like to hang on to control, fighting for our own goals rather than seeing if perhaps God has another path or different timing for us. Then we are bombarded with cultural messages like, “winners never quit” and “pull yourself up by your bootstraps” and “never, ever, give up” as if we could master all of life alone. What’s worse is that our culture conflates these messages with our Christian faith, thinking that this is what the Bible says—as in, “God helps those who help themselves.” I like to tell people that passage is found in the book of First Hesitations. People are surprised that its not in the Bible; it’s a motto popularized by Benjamin Franklin in his Poor Richard’s Almanac, written in 1733. Our Gospel lesson makes clear that God’s way of operating is quite different from these popular mottos. 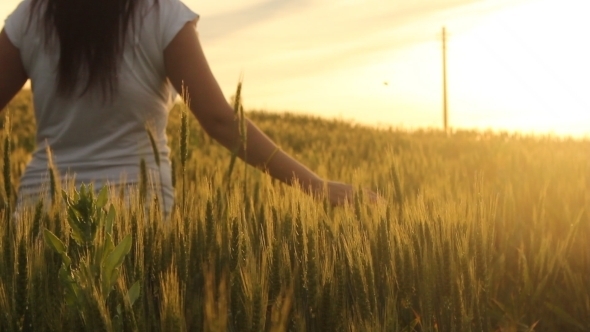 Very truly I tell you, unless a grain of wheat falls into the earth and dies, it remains just a single grain; but if it dies, it bears much fruit…Jesus adds, Now my soul is troubled. And what should I say—'Father, save me from this hour?’ No it if for this reason that I have come to this hour. With his very life, Jesus models for us what it means to let go, to die to self, to release our preferred outcomes, and submit our self and our life to God’s will and purpose. Jesus let go of his preferred outcome and followed through with his suffering unto death, even death on a cross. In so doing, Jesus shows us that the only way to handle the troubles in our soul and dying to self is through prayer; he prays, Father, glorify your name. Jesus knows in his very being that he is not facing death or suffering alone—God, the Creator is with him in every breath, in every cell, in every thought, and in every second of his existence, and he confirms this through his on-going conversation of prayer with the Father. Our second reading from Hebrews, verse 7 says this beautifully, In the days of his flesh—that is when he was human—Jesus offered up prayers and supplications, with loud cries and tears, to the one who was able to save him from death. Jesus demonstrates that the troubles of our soul need to usher us into prayer—into conversation with God—so that God can grant us the peace and strength we need to let go, to die to self and to follow Jesus in giving our life to God’s purpose, and bearing the fruit of kingdom. We don’t do this alone as rugged individualists—we do this together—with and for each other in Christian community. So the question for us today, for this week, for Holy Week, is, where in your life do you need to let go and let God? Whatever it is you are tightly clinging to, whatever it is you are resisting, that is where God has been nudging you to let go—that is where God is calling you to pray and have a conversation about why it’s hard for you to die to your ego in that situation. Maybe you are getting up in years, (you’re chronologically gifted!) and your adult children or friends are encouraging you to move to safer, more appropriate residence. Maybe your family life has become so over-scheduled and stressful, and you’re resisting the conversation of what needs to come off the calendar, so you can have more balance and time together. Maybe your body is trying to tell you not to push so hard, but you keep trying to ignore it and muscle through. We resist because we have to let go before we see what comes next, before we know what will happen, before we see what God is up to. I had to accept being single and trust God to take care of me before I was ready for marriage. 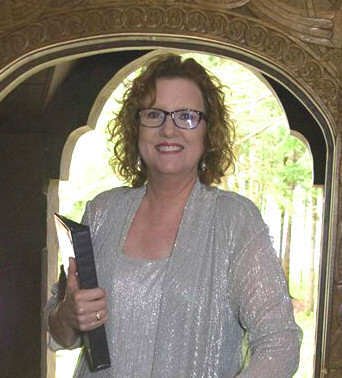 I had to tame my ego be okay with just plain old Linda before God could bring me a book (you'll notice it took eight years! ), so it could be a tool for God’s love and purpose, not mine. Letting go of ego needs and expectations, agendas and control, always precedes receiving something new; that is the paschal mystery—death always precedes resurrection and God is in all of it. That’s the hard part for us—to trust that God is with us even in loss and death—the small deaths we have as we grow older, and the big death at the end of our life. But you’ll notice that God doesn’t leave Jesus hanging out there alone in our Gospel reading. God confirms Jesus’ prayer and their unity with one another in a voice from heaven that everyone around them can hear—I have glorified my name, and I will glorify it again. In John’s Gospel, this glory is the LOVE that they share in this intimate relationship, in this close, moment by moment conversation through prayer. We could read, “I have love you and I will love you again”—and not just in name—"name" means the whole being of Jesus as the embodiment of God’s love. God speaks aloud for OUR sake—so that we know that God is in this with and for Jesus—and not only him; God speaks aloud so that we know that God is in this life with and for US. Jesus didn’t die into nothingness—he died into God’s love and intimate presence and was raised to new life—a resurrection his followers couldn’t fathom or imagine! When through prayer, we release control, we fall into God’s love and presence trusting that God will raise us to new life. When we let go, God can bring us something we cannot fathom or imagine. Then we can bear the beautiful fruit of God’s love and intimate presence in our daily lives.